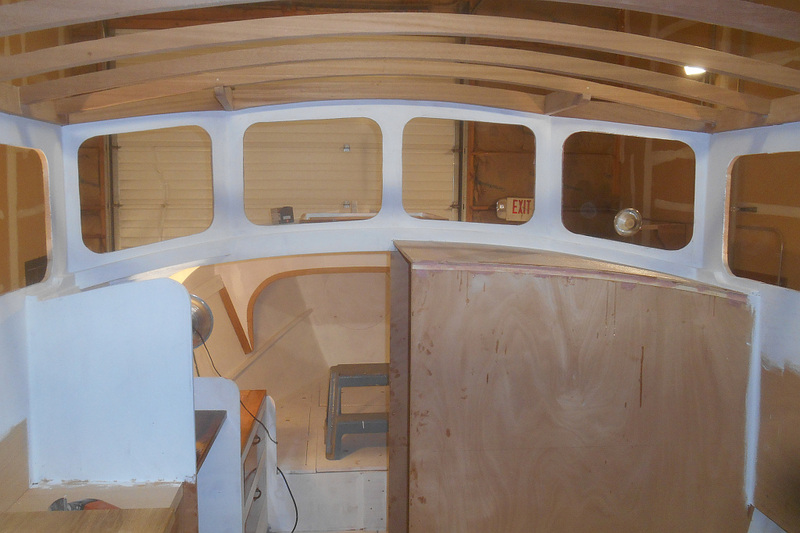 Sometimes the Tardis seems to leap forward to completion (galley in, deckhouse beams on), but some weeks you work just as hard and things barely inch along. Plus every picture comes out lousy. Plus about 20 trips up onto the boat, out to the bow and back again. 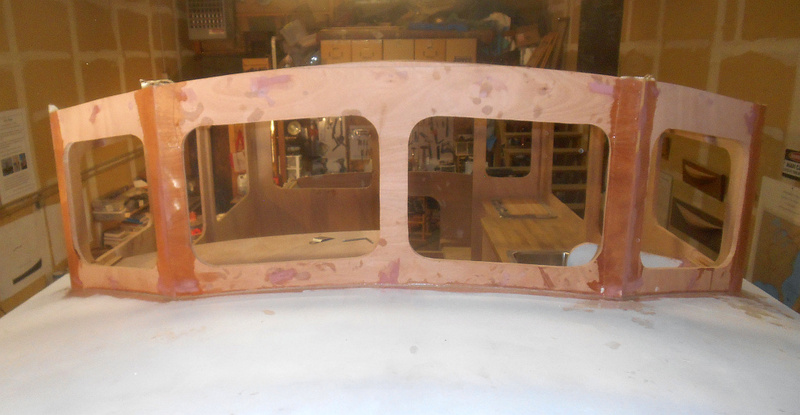 Glassed in all the window seams for strength and water tightness. 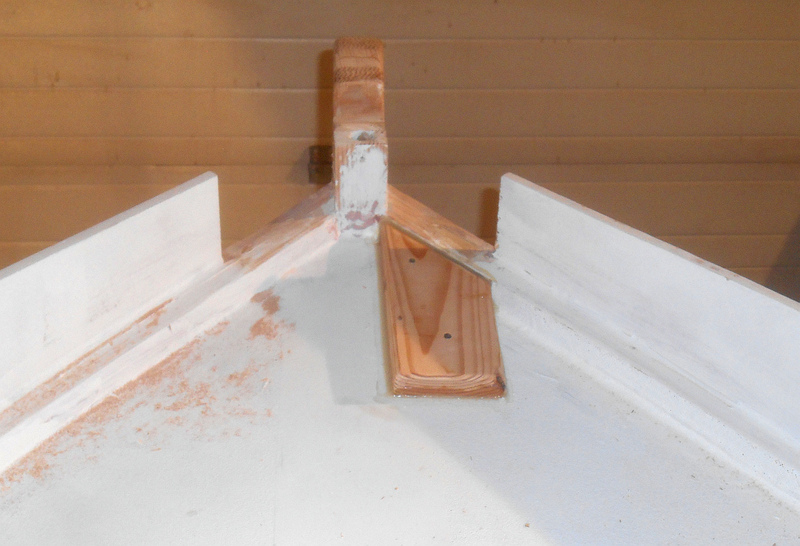 Sanded and faired the forecabin sides and applied two-part primer. It looks great in person, but the picture seems to show a white whale. Trim will help. 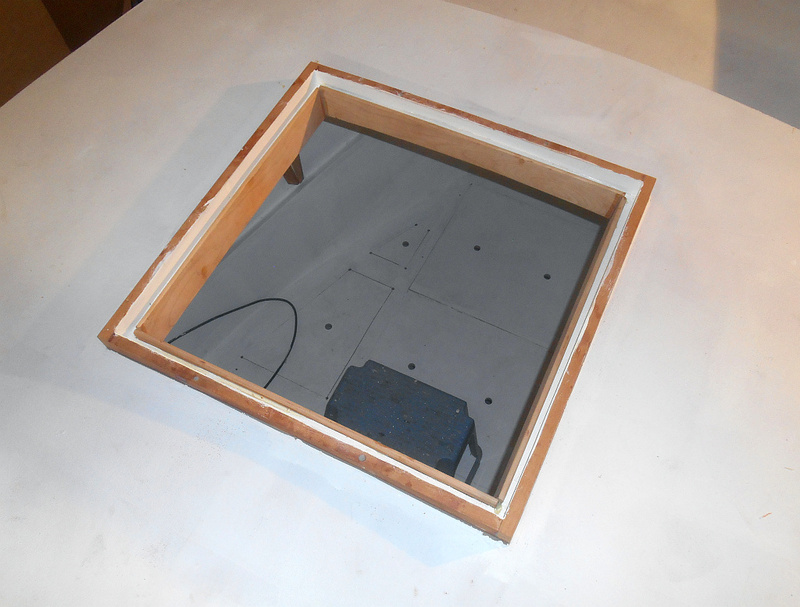 Trimmed out the hatch opening in cherry. 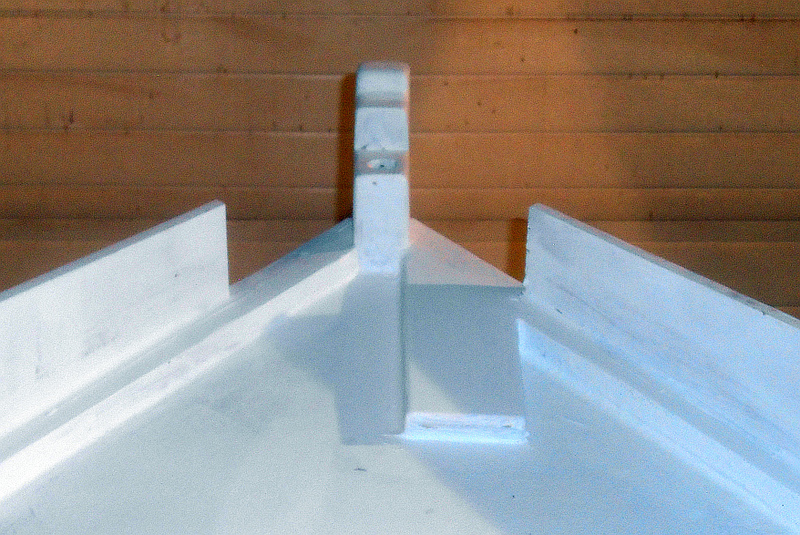 This also creates a gutter so that any water that gets in around the frame runs out through weep holes instead of down onto the berth. Well, that’s the news from The Tardis Project, where all the paint is strong, all the epoxy drips are good-looking and all the screws are above average. 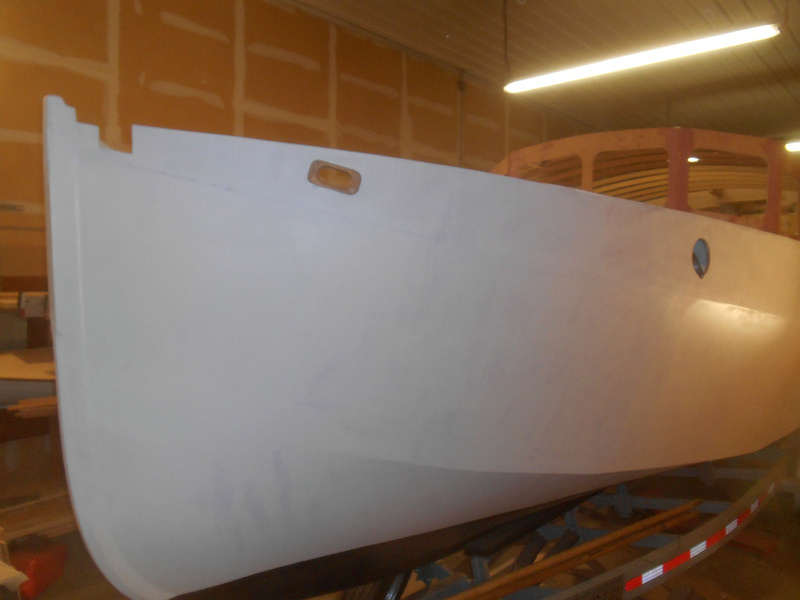 Forecabin sides primed. Desperately need trim. Windows primed and looking good. Looking really good. Which part of Lake Woebegone are you from?